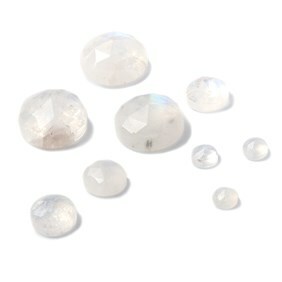 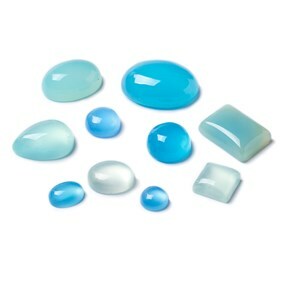 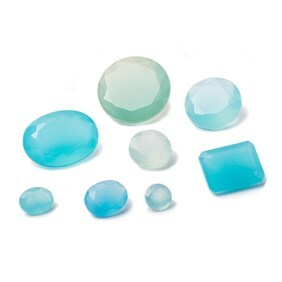 With its lovely translucent glow, chalcedony is one of our most popular stones. 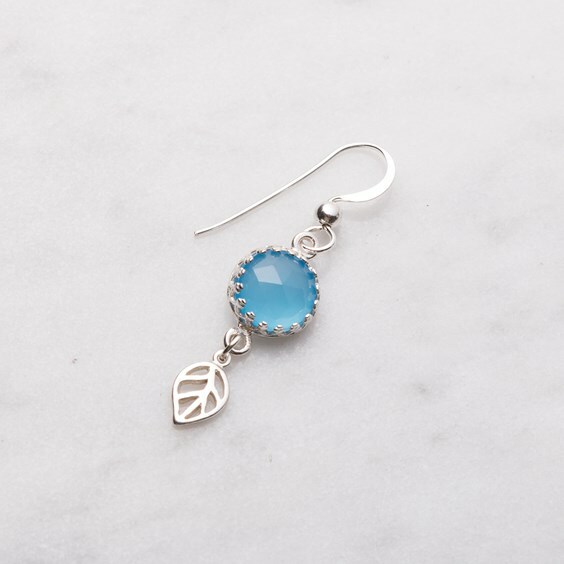 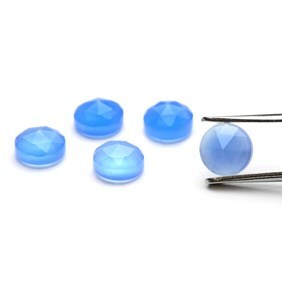 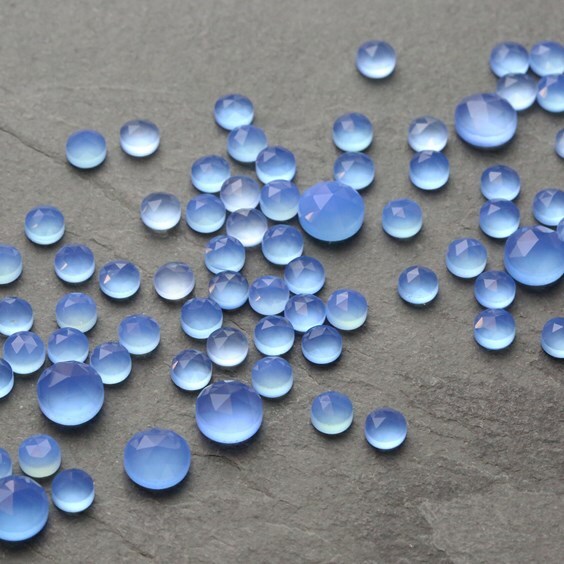 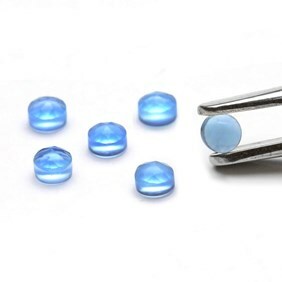 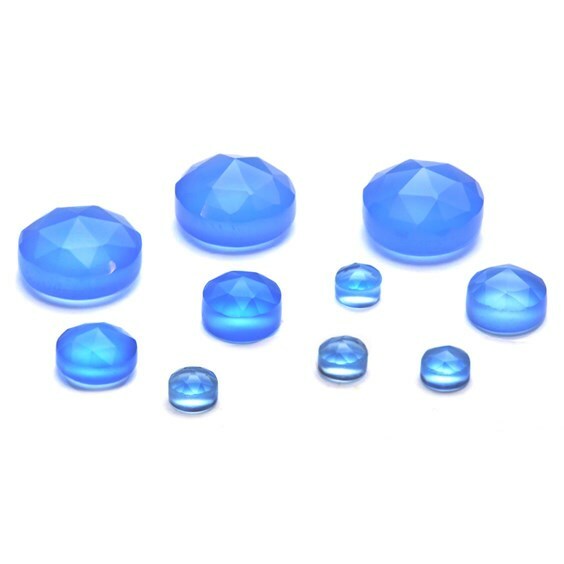 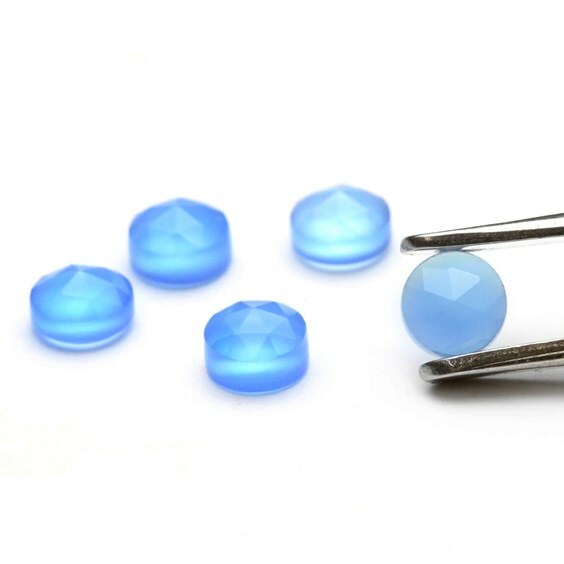 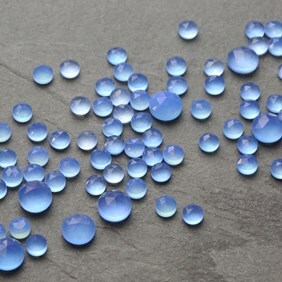 These blue chalcedony rose cut faceted cabochons are perfect for your jewellery creations and will look great teamed with silver. 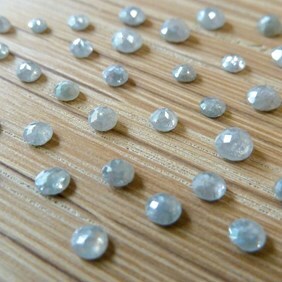 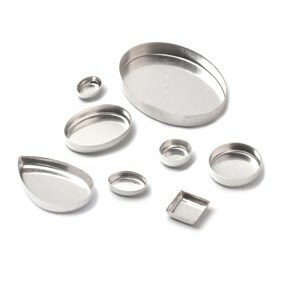 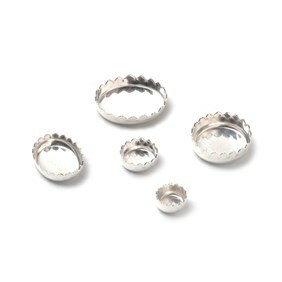 NB The 8mm round cabochons are a brighter blue than the 3mm and 5mm, please refer to the last image on the slate for a reference.